As kids, we are often told, “don’t go outside with wet hair, you will catch a cold!” Is there any truth to this old saying, or is it just a persistent myth? Knowing the difference between myths and scientific facts is important for making educated decisions. But what’s even more important is the question – “was that statement based on evidence or was it false news?” Just as scientists are curious about the natural world and use research to investigate it, your curiosity about common sayings and the investigations into the story behind them could lead you to new discoveries! One such researcher did exactly that – Asiko Iwasaki, an immunology professor at Yale, decided to investigate this old saying to determine whether there was any truth to it. The common cold is caused by viruses, which are infectious agents that enter the human cells to divide and cause disease symptoms. Most often, colds are caused by rhinoviruses, and infect the nose and upper respiratory tract. 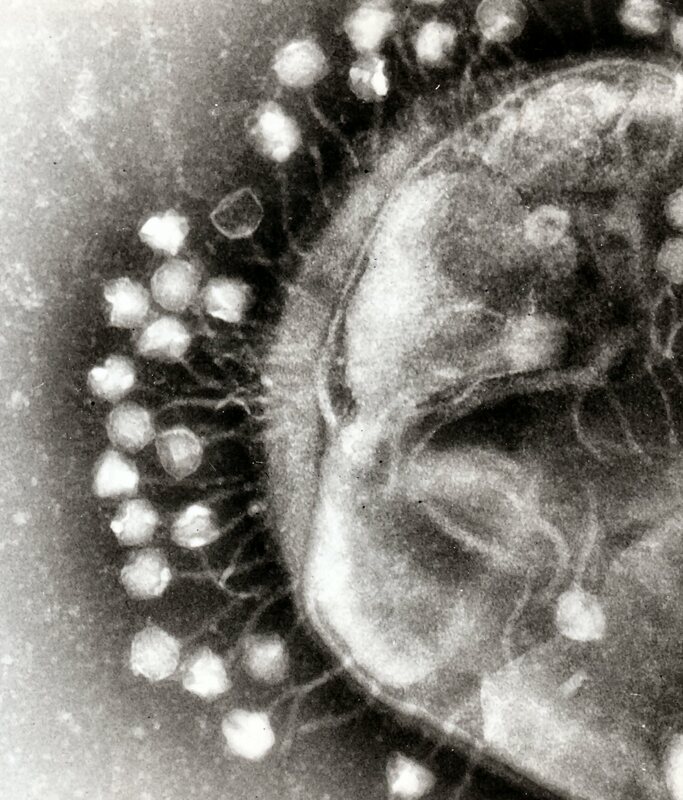 Iwasaki’s lab has spent the last few years researching whether viruses (pictured below) replicate better in colder temperatures and how they are able to do so. This research group first determined that the cold virus replicated better at 33 degrees Celsius (91 degrees Fahrenheit) than at the core body temperature of 37 degrees C (98.6 degrees F). 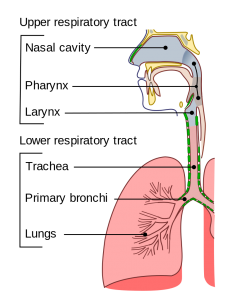 They tested the virus’s replication ability in nasal epithelial cells – the cells that line the inside of your nose. 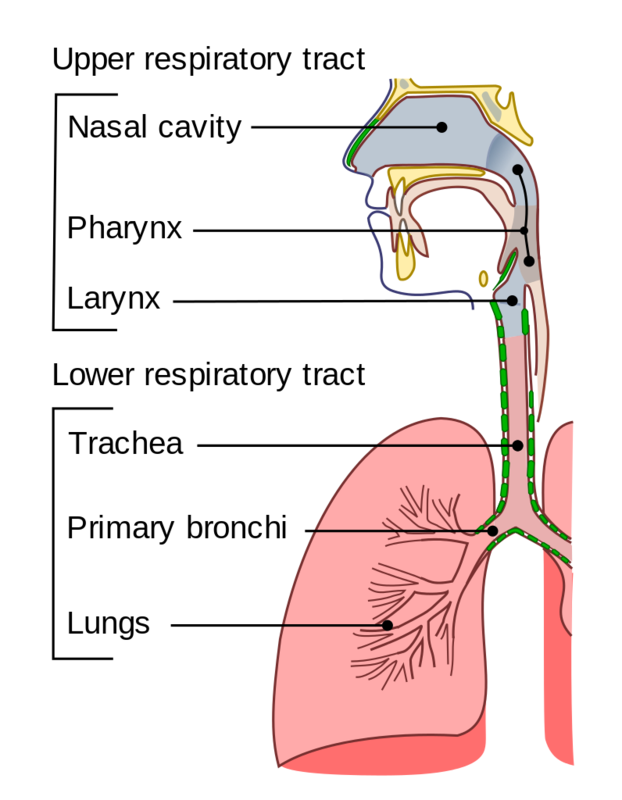 Since the nose is open to the environment, the temperature inside the nose is dependent on the temperature outside the body. On a cold day, the body cannot heat the nose as effectively and it can easily get down to 91 degrees F in there. To imagine this, think back to the last time you went outside in the cold: you may have been wearing a coat and hat, but your nose probably felt cold very quickly! Dr. Iwasaki’s lab then investigated what happens to a virus when the nose is at the proper temperature of 98.6 degrees F. The immune system in the nose is much more effective at this temperature. Two important pieces of the antiviral defense system work better at 98.6 degrees F – interferon proteins, which spread the word to the immune system that a pathogen has arrived, and antiviral proteins that attack the virus itself. The interferon proteins are better able to recognize the virus and alert the immune system at body temperature than at colder temperatures. Therefore, when you go outside and your nose temperature drops, any virus that was already present in the nose has a chance to replicate more efficiently and infect more cells before being noticed and attacked by the immune system. Notice a key phrase in the previous sentence – any virus that was already present. Being out in the cold, even with wet hair, does not make you more likely to pick up new viruses. Viruses do not go around floating in the air, attracted to anyone with wet hair. The cold weather instead causes an environment in the nose where the immune system does not work as effectively and viruses work more effectively. Together, these conditions can cause you to develop a cold if the virus replicates fast enough and the immune system is unable to stop it in time. Some of the old sayings that surround us are based in truth, while others are just superstitions and myths. The important thing is to always ask which is which and to look at the evidence! Armed with curiosity and a willingness to investigate, every citizen can be a scientist.